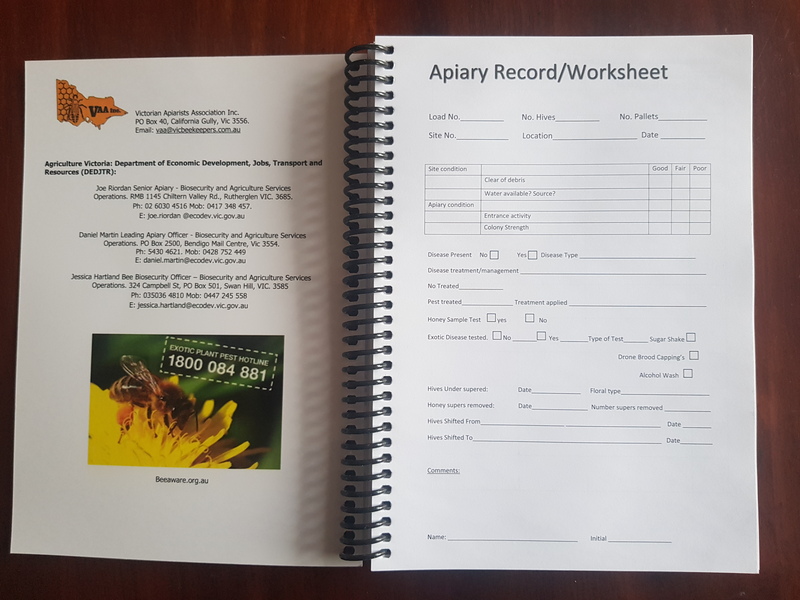 Apiary Bio Security Work Diary This work diary contains 100 record/worksheets and 100 equipment log sheets making it easy to keep track of both hive and equipment movements. 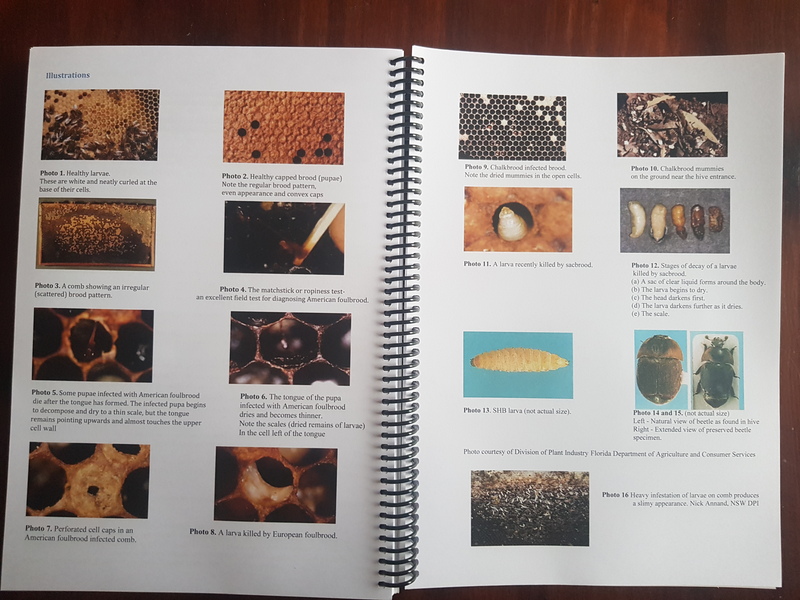 The last pages contain information to help field diagnosis of known bee pests and diseases. 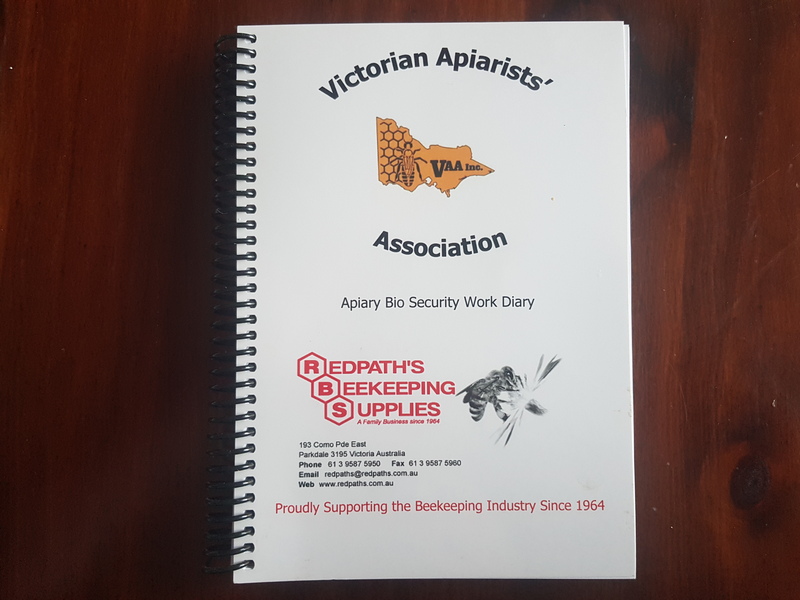 Copyright © The Victorian Apiarists' Association.